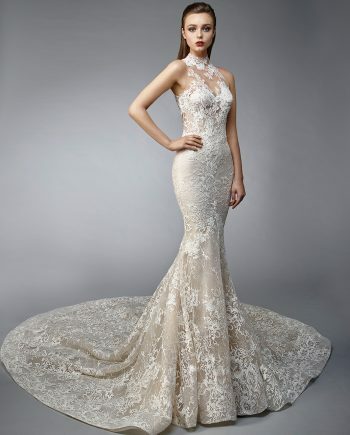 Enzoani offers brides-to-be exquisitely hand crafted gowns. They merge traditional and modern European styles together, subsequently creating high quality and timeless designs. The brand has become renowned across multiple countries since emerging in 2005. 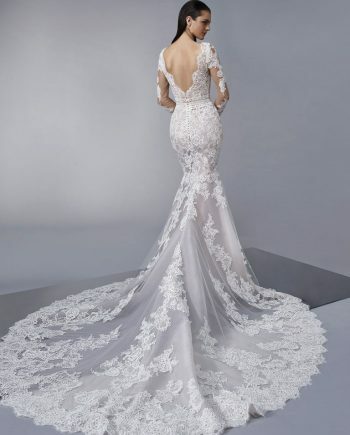 Enzoani is a young and vibrant company who are dedicated to producing cutting edge designs, exceptional quality and a fit like no other. They continue creating unique designs, with bespoke features, well into 2019. This glamorous collection was welcomed into our boutique in 2015. We subsequently became part of the Enzoani family. Since then we have found that brides-to-be love this modern collection! Therefore, we host trunk shows to showcase the full range in-store. Keep an eye on our facebook events page for more details about the trunk shows. The range is in store in sizes 6-16 and available to order. We aim to offer the best designer collections for brides-to-be. 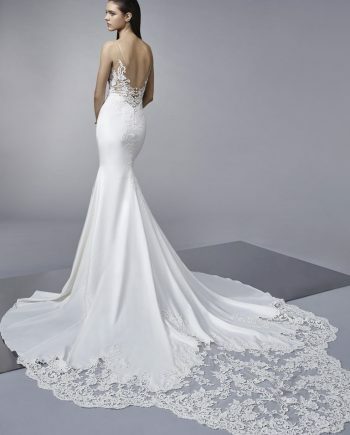 Our range truly benefits from the modern elegance that Enzoani provides.